Any student wanting to enrol at SIIT must meet the entry requirements of SIIT. Prior to the acceptance of enrolment, SIIT will assess each student’s ability to meet the entry requirements by verifying that they hold result(s) of the IELTS Exam with a score of 5.5 or equivalent. For detailed entry requirement of each qualification, please check below. If it is determined that the student need to complete a Language, Literacy and Numeracy (LLN) test, the student will be required to complete a LLN test to determine whether the student might be suitable for this qualification or any supporting services might be required during the student’s enrolment at SIIT. complete a screening interview with the Academic Manager of his representative to assess suitability and capability in completing this qualification. Alternatively, and only for students with prior learning and experience in the field, these requirements can be demonstrated and deemed equivalent via recognition of prior learning (RPL) process. be minimum of 18 years old to be able to work and practice in a real estate environment. course content and duration, qualification types, modes of study and assessment methods. campus location(s) and a general description of facilities, equipment, and learning and library resources available to students. details of any arrangements (if any) with another registered provider, person or business to provide the course or part of the course. course-related fees including advice on the potential for fees to change during the student’s course and applicable refund policies. information about the grounds on which the student’s enrolment may be deferred, suspended or cancelled. where relevant, schooling obligations and options for school-aged dependants of intending students, including that school fees may be incurred. SIIT ensures that students&apos; qualifications, experience and English language proficiency are appropriate for the course for which enrolment is sought. 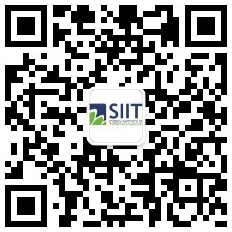 SIIT Marketing information is provided with all relevant information (in line with the requirements in National Code) to students prior to enrolment to ensure students can make an informed decision about studying with SIIT. Formal engagement of any Education Agent will include the provisions that they provide prospective students with marketing materials with sufficient information (in line with the requirements in National Code) so they can make an informed decision about studying with SIIT. SIIT, as part of the formalisation process will advise each potential student of the circumstances in which personal information about the student may be shared with others. SIIT will not accept course fees from any student until the student has accepted and signed the agreement (Letter of Offer). SIIT may accept course fees received at the same time as the verification of acceptance (for example, if a student sends a signed acceptance with an accompanying payment or brings the payment along with the accepted agreement into SIIT’s office). If SIIT receives course fees sent by mail (for example, by cheque or money order) before receiving the accepted written agreement, SIIT will not use the money. SIIT will immediately contact the student or agent to inform them that the payment cannot be processed (and the enrolment cannot progress) until the provider receives the accepted written agreement from the student.